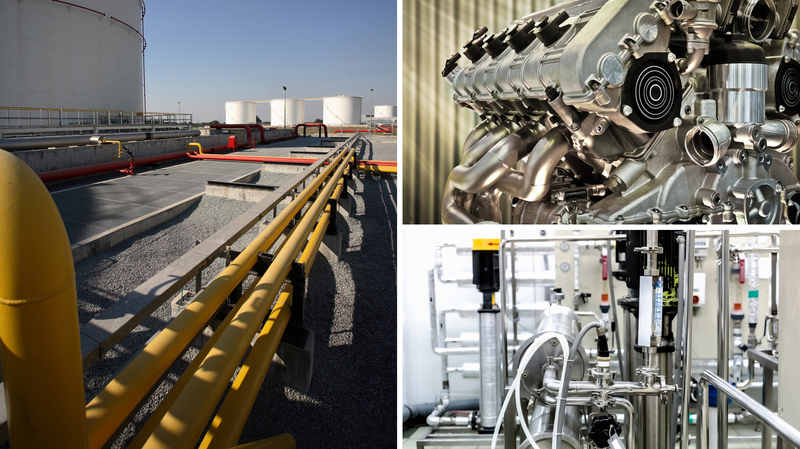 The paradigm shifts from preventive or damage-dependent maintenance of machinery and equipment to condition-based maintenance (predictive) poses a difficult challenge for the industry. To succeed in cost-driven competition, this step is essential, as predictive maintenance can make more efficient use of machines and prevents unforeseen downtimes. The most effective form of condition-based maintenance utilizes online or inline condition monitoring (CM). Due to the permanent recording of the machine condition, based on the measurement of physical quantities, increasing economic, ecological and safety pressure can be met. The necessary technical infrastructure in the form of powerful networks, which enable the seamless integration of additional sensors, are emerging or have already been established in the wake of Industry 4.0 and Industrial Internet of Things. Furthermore, the possibilities for process modeling and data evaluation due to the high level of algorithms (e.g., deep learning) and the meanwhile cheaply available computing power allow virtually unlimited potential for accurate machine monitoring. The last step required to make predictive maintenance a breakthrough is to provide the appropriate sensor technology. The basic prerequisites for these systems however are very strict, due to the demands of highest measurement value stability with low or no maintenance of the sensors system itself required. 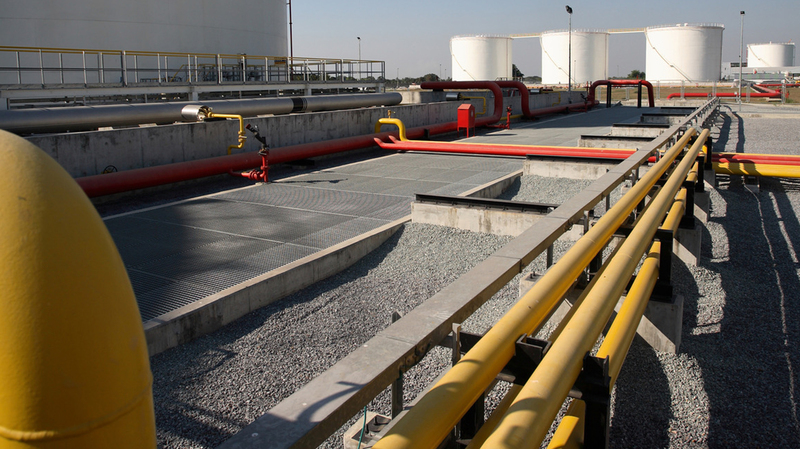 In the field of oil condition monitoring (OCM), this means that the sensor has to determine the smallest changes as well as the absolute values of the fluid parameters accurately, but is rarely affected by cross-sensitivities, aging effects and contamination. For the detection of the oil condition, the viscosity is the most important physical parameter, since it reflects the main lubricating property. The strong temperature dependence of the viscosity requires precise information on the temperature of the fluid that is to be observed. The OCM solutions from MicroResonant use a low frequency resonant acoustic sensor element which can simultaneously measure density and viscosity with high accuracy. 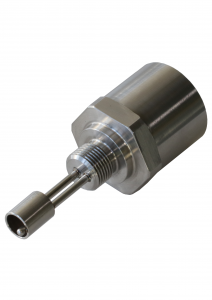 The vibrating sensor generates a flow profile that penetrates deeply into the liquid, whereby effects of surface adhesion of fluid components are less impairing than with higher frequency sensors such as surface acoustic wave resonators (SAW). Like many other sensors, viscosity sensors require a certain amount of time to take a measurement. In order to obtain the best possible measurement results, the conditions at the sensor should be as constant as possible during this time. The ICMS requires only one second for a measurement, thus it is an ideal choice for systems with relatively short intervals of sufficiently constant conditions. 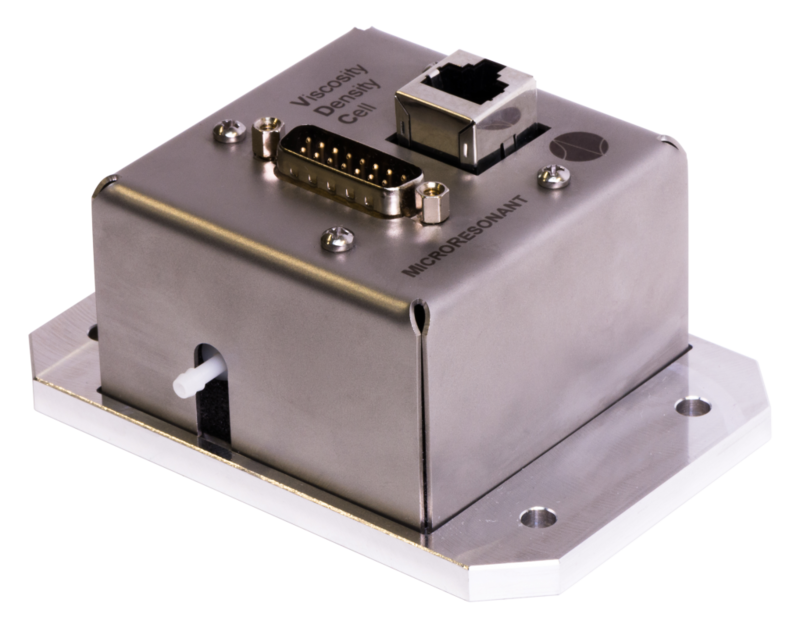 The viscosity density cell (VDC OCM) from MicroResonant is designed to obtain reliable oil condition data independent of the operating status of the machines. With the active temperature control of the fluid, the viscosity can be determined at (one or more) desired reference temperatures. Therefore the transfer of measured viscosity to another temperature than measured is avoided. When taking measurements at more than one temperature, the temperature change of viscosity is an additional parameter (e.g. viscosity index) available for condition monitoring.